From 1955 to the mid-1970s, Singapore underwent a significant phase in physical development. Not only were infrastructure works such as housing and downtown improvements started, several public buildings of national importance were also planned and constructed. These include the National Library (1960), the National Theatre (1963), the Singapore Conference Hall and Trade Union House (1965), and the National Stadium (1973). These public structures enabled the advancement of the population beyond the concerns for just bread and butter issues to embrace modern times and practices. They also served as physical interfaces for Singaporeans to understand and interact with peoples from the region and the world at large. This talk discusses the contexts of the four buildings as well as the architecture for a new era. Lai Chee Kien is Adjunct Associate Professor at the Architecture and Sustainable Design Pillar, Singapore University of Technology and Design. He is a registered architect, and graduated from the National University of Singapore with an M.Arch. by research (1996), and a PhD in History of Architecture & Urban Design from the University of California, Berkeley (2005). He researches on histories of art, architecture, settlements, urbanism and landscapes in Southeast Asia. His publications include Building Merdeka: Independence Architecture in Kuala Lumpur, 1957–1966 (2007) and Recollections of Life in an Accidental Nation: Alfred Wong (2016). 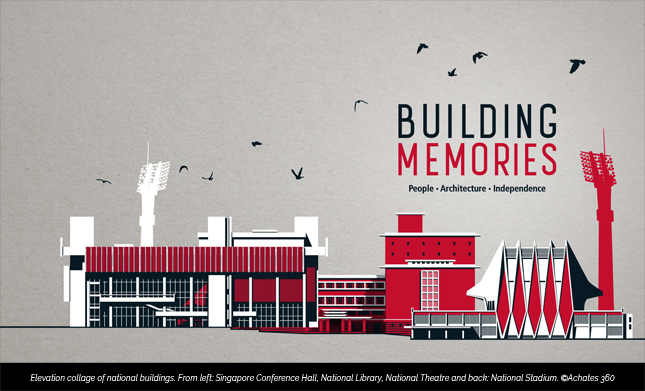 His co-authored work, Building Memories: People, Architecture, Independence was awarded the Singapore Book Award for Best Book Title in 2017. HistoriaSG is a lecture series that focuses on important but lesser-known aspects of Singapore’s history. With in-depth presentations by local and international academics on a range of topics viewed through a variety of lens from business to science and technology, the environment and specific communities, the series sheds new light on Singapore’s culture, history and heritage. Organised by the National Museum of Singapore, HistoriaSG is part of the museum’s efforts to promote a deeper understanding and appreciation of Singapore’s history. Please visit National Museum of Singapore's website for information on upcoming lectures.